“I can’t imagine any town with so important, so titanic of a figure in American history not claiming and exulting WEB Du Bois as its own," declared Cornell Brooks, the former president of NAACP. "He’s one of the foremost intellectuals of the 20th century. That’s like Princeton denying that Einstein lived there.” In light of Du Bois's 150th birthday, Brooks's statement perfectly defined the Town of Great Barrington's mission. It has come to claim and exult Du Bois as its own. The Town aims to make the milestone event a meaningful experience for all Berkshire County residents and neighbors, from kindergartner to senior citizen. Great Barrington's Du Bois 2018 celebration occurred between January 15 and February 28, and now will run January 21st to March 1st 2019. It will be like none other. The Town believes it's all about home. Du Bois was born here. Educated here. Worshiped here. As a teenager he wrote newspaper articles about our town. He worked at Searles Castle. Our town raised the funds to send Du Bois to college. He owned property here. Paid taxes here. Du Bois buried his family here. And he wrote glowingly about Great Barrington in his autobiographies and correspondence. Du Bois continues to attract visitors from all over the world to the "best small town in America." What is it about Du Bois that so moves Great Barrington? Perhaps it's that he continues to remain relevant - a fount of useable wisdom regarding hot-button issues like racial equality and justice, health care, employment, and universal brotherhood. He was a speaker of uncomfortable truths and a public school laureate of progressive education. 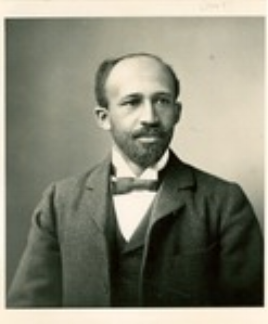 This is the Du Bois who cared about our town, the Du Bois our Town cares to honor. The issue was no longer - "Shall the Town honor Du Bois?" The issue was - "How best to honor him." And the Town saw a golden opportunity in 2018, when its famous native son turned 150.